Where do I start? The lists of yoga benefits seem to go on forever. Whatever you are looking for, someone, somewhere, seems to be claiming that yoga is the solution. This is partly due to the idea of integration -that you cannot cure one problem, without curing all of the problems, and if any one thing is out of balance in the body or the mind this will have a repercussion on something else- Working on this holistic view of connection and unity, rather than trying to cure individual symptoms, is the base of the success of yoga. The other main contributor is that there are so many styles of yoga out there (almost as many as there are yoga teachers). Everyone has their own journey with yoga and therefore their own way of explaining it, even if it is based on the same set of principals. Because of this variety you will certainly be able to find a teacher and a style to fit your exact needs and personality WHATEVER they may be. Yoga is known to have many more specific therapeutic benefits, and can be used to heal from injuries an cure chronic diseases. So for anyone starting up a yoga practice what are the main benefits you can all experience? 1. All-round fitness: Yoga can help to ‘tone and sculpt’ the body just about as well as any exercise going, but you are only truly healthy when you are not just physically fit but also mentally and emotionally balanced. Yoga combines physical and mental fitness to leave you feeling great. 2. Weight loss: Yoga often starts people on their weight loss journeys. Sun Salutations and Kapala Bhati pranayama are some ways to help lose weight with yoga. Often people start out just wanting to use Yoga as a form of exercise, but with regular practice, we tend to become more sensitive to the kind of food our body asks for and when. This can also help keep the weight in check. It is a great doorway into lots of potential. 3. Stress relief: A few minutes of yoga during the day can be a great way to get rid of stress that accumulates daily – in both the body and mind. 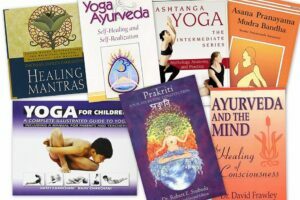 Yoga postures, pranayama and meditation are effective techniques to release stress and toxins from the body. Just spending some time to focus on yourself can be all it takes. 4. Better relationships: Yoga can even help improve all of your relationships, from your spouse, and close family, to friends or colleagues! A mind that is relaxed, happy and contented is better able to deal with sensitive relationship matters. Yoga and meditation work on keeping the mind happy and peaceful, and can help you to strengthen the bond you share with people close to you. 5. More energy: Do you feel completely drained out by the end of the day? Shuttling between multiple tasks through the day can sometimes be quite exhausting. A few minutes of yoga everyday provides the secret to feeling fresh and energetic even after a long day. A 10-minute online guided meditation benefits you immensely, leaving you refreshed and recharged in the middle of a hectic day. 6. Inclusivity: Whoever you are, you can chose a style that is tailored to your lifestyle. Whatever you require, there are a huge variety of options available to suit your goals and needs. It doesn’t matter your fitness level, age, or health history, yoga has a place for you. 7. Inner peace: We all love to visit peaceful, serene spots, rich in natural beauty. Yoga brings the realization that that peace can be found right within us. We can take a mini-vacation to experience this any time of the day with yoga and meditation. Yoga is also one of the best ways to calm a disturbed mind. 8. Better flexibility & posture: This seems to be the most obvious benefit, but people often underestimate how good it feels to have a strong, supple and flexible body, allowing you to move through life gracefully and with ease. 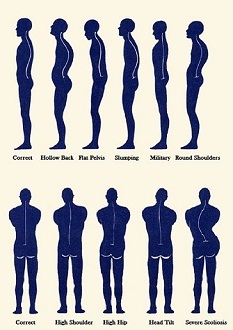 It also helps to improve your posture when you stand, sit, sleep or walk, which in turn helps relieve you of body pain due to incorrect posture. 9. Awareness: Most people (particularly nowadays with such a stimulating world) have very busy minds. We swing constantly from the past to the future rarely acknowledging the present moment for what it is. By simply being noticing this tendency of the mind, and working on enjoying what is in front of us now, we can reduce lots of unnecessary tension. 10. Improved immunity: It is said in yoga that the body and the mind are not actually separate. Therefore sickness in the body affects the mind, and similarly unpleasantness or restlessness in the mind will manifest as sickness in the body. So again the act of bringing everything into balance allows your body to be in health, while specific postures and breathing techniques can be used to increase activity of particular organs. 11. Better sleep: If you are suffering from insomnia or disturbed sleep? Yoga might just be what you need. A study performed in the Brigham and Women’s Hospital, Harvard Medical School, found that the regular practice of yoga helped chronic insomniacs, by improving their sleep patterns, and giving them more evenergy to help them stay awake during the day. Remember, yoga is a continuous process. So keep practicing! The deeper you move into your yoga practice, the more benefits you will uncover.